World Teacher’s Day was Celebrated on October 3, 2016. Featured below is Mrs. Patricia Luke-Martin, a dedicated teacher for over 30 years. At five years of age Patricia Luke, a student of St. Martin’s primary school, was lining up chairs in her parents’ living room and speaking to them in earnest and with much passion. She would rebuke them for not having learnt their lessons well but would also be generous in praise for those in her charge who had obviously studied hard and had retained what was earlier taught to them. 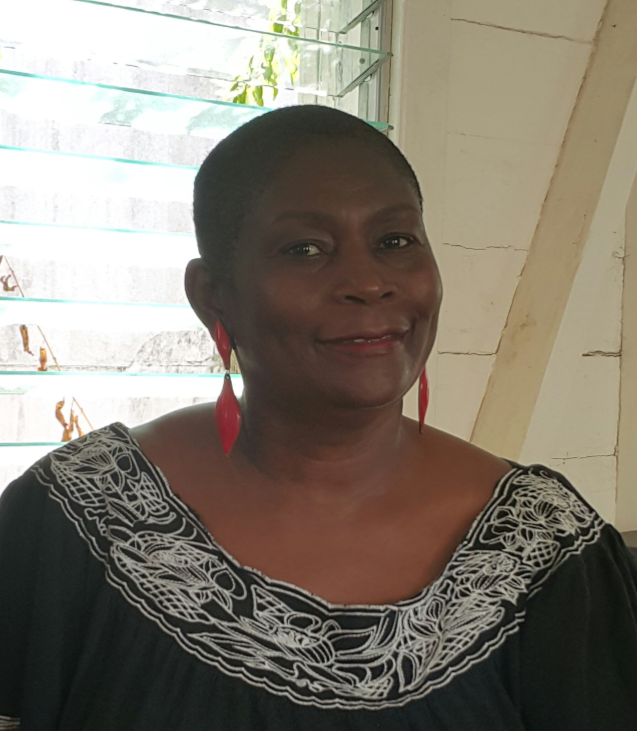 Now Patricia Luke-Martin, she is now owner and operator of PSL computer Lab and Training, an after school centre, which caters for students of all ages with special focus on CXC classes for 4th and 5th form students and adults. Mrs. Martin is also the Registrar at The Antigua and Barbuda Institute of Continuing Education (ABICE) since 2009. Today, she is being credited with helping students to realize their dream of gaining subject passes at the CXC level. She also teaches remedial classes. “Human beings, no matter the shortcomings, can accomplish whatever they set their minds to, especially with the help of others. Each person is intelligent in his and her own right and I try to make it my duty to see each individual as unique and who can learn anything in their own time and space,” she said. Patricia Luke-Martin is passionate about the needs and goals of students and she specializes in putting herself in the place of those who find learning hard. A student of the now defunct Goodwill Academy she returned as a teacher at the age of 18 after graduation and has been teaching ever since. She earned a 4.0 Average in Computer programming and Data Processing from Programmer and Systems Incorporated Institute (PSI), Baltimore Maryland in 1997 so at PSL she engages not only in teaching but writing small programmes, creating Graphic designs for Wedding Invitations and programmes, newsletters booklets and business cards. When PSL was opened in March 2003 Patricia Luke-Martin opened up her family house and did not charge for classes. Her aim then was to help as many students whose parents could not afford the cost of extra classes. She also wanted to help those who were having problems with particular subjects and those who were getting lost in the shuffle of crowded classes. The business was later moved into St. John’s and as result she had to pay rent, which became increasingly higher, forcing her to charge fees. These are however comparatively low compared to similar institutions of learning. She offers small classes to allow teachers to get more one on one time with students making it more difficult for them to get left behind. Having graduated with an associates degree in Theology Mrs. Martin has, from time to time, given spiritually uplifting talks to small groups and has since add Religious Knowledge to the subjects offered at the CXC level. In 2004 she produce the first edition of ALL ABOUT US, a magazine which featured small businesses, articles on hurricane tips, craft, historic sites, dinner is served, trial and error as well as kids Link from English to poetry. Mrs. Martin has worked in many vocations but none is as rewarding as teaching others to realize their true potential. A school Teacher, Sunday School teacher and Sunday School Director allow her to impart knowledge to others with distinction. A pleasant, courteous lady with a ready smile and a great sense of humour, Mr. Martin always finds an occasion to talk about the magnificent sovereign power of God. It has been suggested that teachers will fall into one of three categories. There are some who are born teachers while others are made so by man. Then of course, there are those who see teaching as a job, which allows them to pay their bills. The evidence has shown that Mrs. Martin is definitely a born teacher. Those that other teachers and schools would have given up on, she takes under her wings and amazingly, they excel. Her commitment has not faded over the many years and her love for her fellow human beings, especially the children, grows stronger daily beginning from those days when she would line up the chairs in her parents’ living room and bring her class to attention.